It is often said that we think of the most creative ideas while sitting in our toilet. While that might be debatable what’s not is the fact that we do spend of lot of time sitting on the toilet. 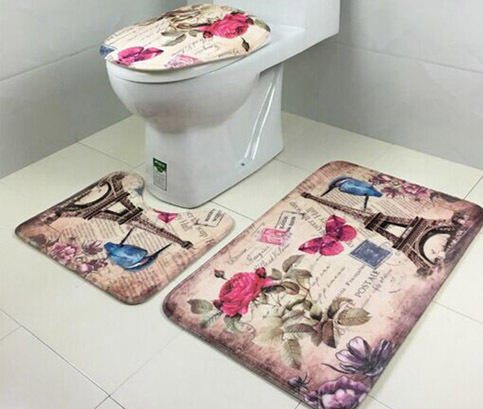 So it is only fair that we get ourselves a comfortable toilet seat cover. So here are the things you should keep in mind while you buy toilet seat covers online. Most of us go “yeah, toilet seat cover. Just grab one and it will be fine” when it comes to picking toilet seat covers. Surprisingly there is a huge variety of these available online ranging from as cheap as Rs.300 to as high as Rs. 8000. We suggest you pick a toilet seat cover around the mid range bracket ranging from Rs.1500 to Rs.1800. You want to make sure that whatever you are investing in is not some flimsy plastic material which is mostly the case for covers which are on the cheaper side. When you invest in the right cover, you will be delivered with a cover which is super strong and durable made out of either really good quality plastic or wood. When you buy a toilet seat cover make sure it has a really good quality hinge set. This is the part which keeps the seat attached securely to the cover. A faulty hinge is one of the most common problems people face with toilet seats. It should not be flimsy or move here and there once attacked to the toilet. A hinge that holds the seat and the cover firmly and opens and closes without much effort is perfect. It is better if you get a toilet seat cover which has a “soft close”. It basically means that the cover of the seat has about four tiny, round rubber or silicon cushions attached to then on the inside. So even if you slam the cover close, (which, we do not recommend) it will not make any sound nor will you be risking causing any impact on the seat. Most people get overwhelmed when it comes to the shape and size of their toilet seats. In general, there are two common shapes of pots sitting in most homes; one is elongated and one is round. So there is no need for you get too worked up to when you try to pick a seat for them. All you have to do is look for a toilet seat cover that fits the shape of your round or elongated toilet. It can be quite a hassle to depend on a plumber especially if you are living a busy urban life. So, doing the job of replacing your old seat with the new one by yourself is quite a wise idea. So get yourself a toilet seat cover India online which is quite easy to install just by reading instructions.